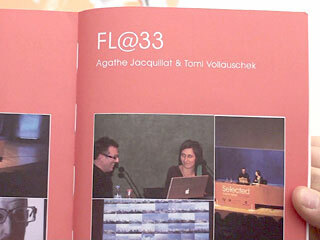 Spanish publishing house Index Book kindly invited the FL@33 team to come to Barcelona for a few days and to give a talk in March 2010 in front of hundreds of visitors to the first of their annual Selected Europe conference and workshops. ___ Our very own Agathe Jacquillat also joined an international judging panel that had the duty prior to the conference to select the best of the entries sent in for possible inclusion in the Index Book publication – shown here – also entitled Selected A - Graphic Design from Europe. See pictures of the judging panel, the selection process and the FL@33 talk that took place on Friday, March 12th, 2010, 5–6pm. Conference presentations beside FL@33's included Wieden+Kennedy, Hi-ReS!, Magma Brand Design, Dfraile, Stockholm Design Lab, beside others and workshops including Twopoints.Net and Catherine Dixon – most of them were also judging the Selected A book entries. pp.108–109 | Design: FL@33. Country: United Kingdom. Title: Made & Sold: Toys, T-shirts, Prints, Zines and Other Stuff. 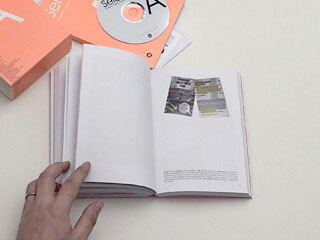 Description: Made & Sold is the second book conceived, compiled, edited, written and designed by Agathe Jacquillat and Tomi Vollauschek at FL@33 and published by London-based Laurence King Publishing in October 2009. The book showcases an exciting selection of products created by multidisciplinary practitioners working on self-initiated and commissioned projects. Client: Laurence King Publishing. pp.262–263 | Design: FL@33. Country: United Kingdom. Title: MMM-Festival 2010. Description: MMM-Festival features an eclectic mix of music from mountain areas around the world. Now in its third year, the festival is rapidly growing and its visual identity evolves with it. mmm-festival.org. Client: MMM Festival, Ànzere, Switzerland. p.301 | Design: FL@33. Country: United Kingdom. Title: BBP 004: System Error. Description: Independent badge label Badge Button Pin (the team behind the book of the same name) invited FL@33 and Stereohype's founders to create the fourth pack in the BBP series: System Error. This set of four, one-inch button badges incorporates graphics from FL@33's massive collection of computer crash imagery, that they collect since the early 1990s. Client: Badge Button Pin in collaboration with FL@33.
p.391 | Design: FL@33. Country: United Kingdom. Title: 8 minutes 20 seconds. Description: A first animated version from 2004 was revised in 2009 when a new high-definition widescreen version was created and a soundtrack was composed and performed by Mercury Quartet. 8min20sec (2009) was screened in London Transport Museum's cinema, Covent Garden. Please visit flat33.com for more info and to see the video. Client: FL@33. 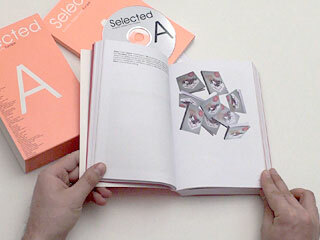 Includes a DVD with the new media projects selection. 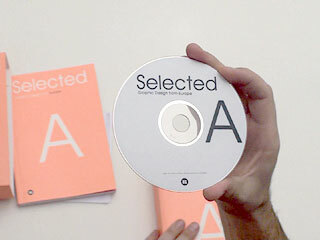 Selected is not an award, but rather, as its name suggests, it is a "selection" of the best European design projects completed within year 2009 by graphic studios, designers and students from across Europe. The projects are chosen by a team of renowned professionals - Selectors - from various fields in the visual communication and graphic design industries, who meet to make a selection of the best work pieces among all the entries received. Only the projects which are chosen from their expert point of view are ultimately included in the book. The annual is presented with an original design and in a special format, smaller than the average yearbook. 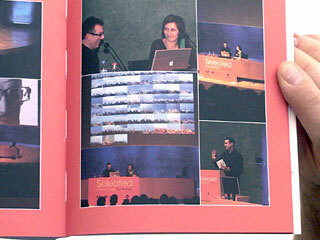 The book is divided into three different categories (Graphic Design, New Media and Schools) and each project is featured individually on a double-page spread. 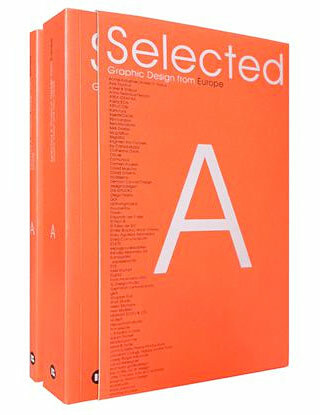 Instead of being numbered, each edition of Selected is assigned a letter, in alphabetical order, which is also the initial of the font face used in the book. Namely, the first volume in the series, Selected A, refers to the font face AkzidGroBe. 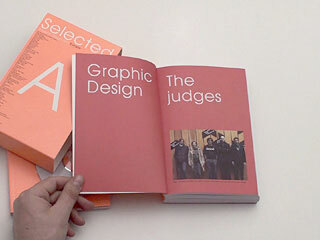 This is Index Book's special way of paying homage to typography as an iconic element in design. The team of Selectors assigned for this edition have been, under each category: Graphic Design: Björn Kusoffsky (Stockholm Design Lab), Edwin van Gelder (Mainstudio), Lars Harmsen (Magma Brand Design), Agathe Jacquillat (FL@33), Eduardo del Fraile (Dfraile). New Media: David Linderman (Hi-ReS! ), Joakim Borgström (Wieden+Kennedy Amsterdam). Schools: Dra. Catherine Dixon (Central Saint Martins, UK), Ada Lopes Cardozo (KABK Royal Academy of Fine Arts, Netherlands).